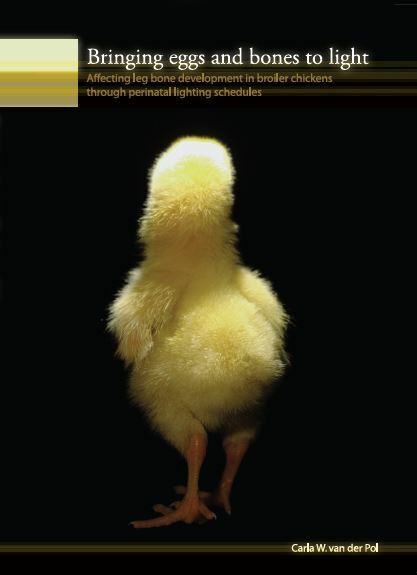 For many years, incubation research had been carried out at "Het Spelderholt", Center for Applied Poultry Research in Beekbergen, The Netherlands. Next to breeder farms and broiler farms, "Het Spelderholt", was equiped with a small semi-practical Petersime hatchery with 4 identical 8.400 setters, and 1 setter with 16.800 capacity. There were 3 hatchers with 8.400 capacity and 1 hatcher of 16.800 eggs. Perfect conditions for research purposes! 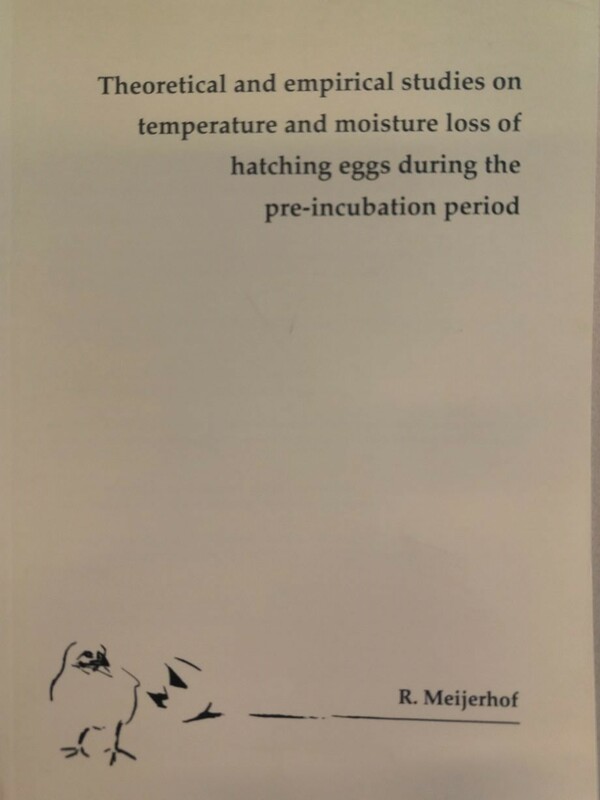 The Mother of all incubation thesis about embryo temperature was the one written by Ron Meijerhof in 1994: Theoretical and emperical studies on temperature and moisture loss of hatching eggs during the pre-incubation period. 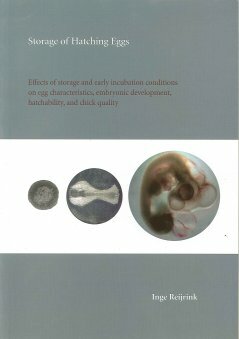 Especially the paper he published with Gerard van Beek in 1993 was of importance for all further research about embryo temperature. 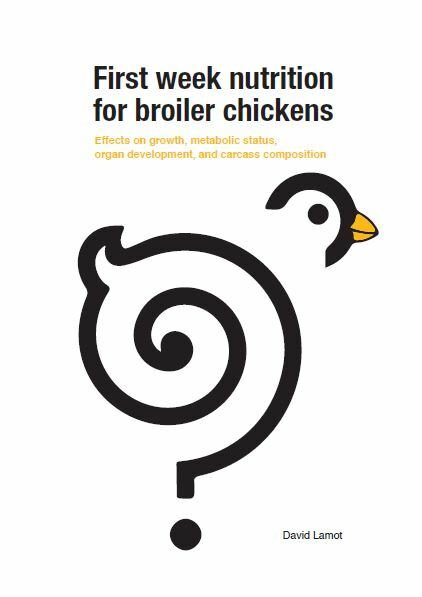 This was the theoretical basis that induced a huge change in the hatchery world. The step from theory to practise still had to be made. I started working at "Het Spelderholt" in 1998 when Ron left to join Hubbard. In the storage room I found a nice piece of equipment to measure the temperature of eggs. Nothing digital, so the temperatures were recorded on paper and I typed them over in the computer... 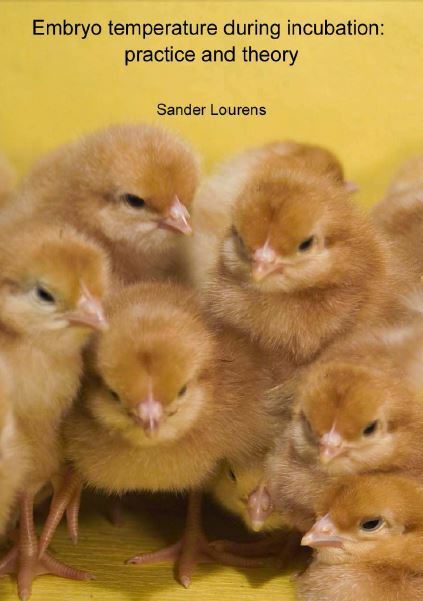 The first measurements of eggshell temperatures in practise were done in the Van Erp Hatchery (broilers) in St. Oedenrode, and in the 't Anker Hatchery (layers) in Ochten. These showed huge variations between eggs at different positions, and hatchability was poor at the places where eggs were overheated. 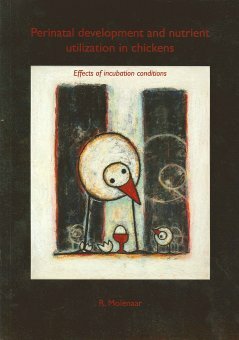 This was published in 2001, see this paper about the importance of air velocity in incubation. 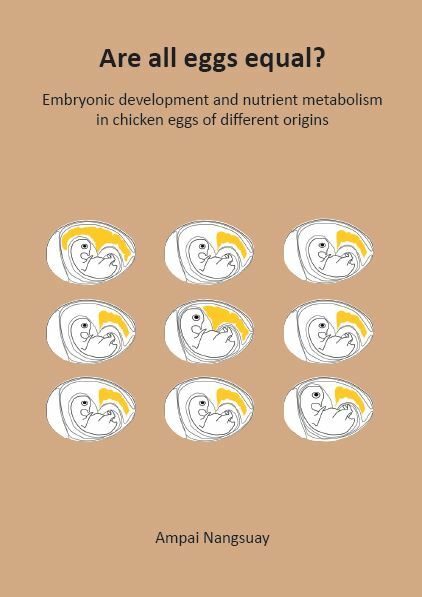 This kick-started a new area of practical incubation research, based on the control of eggshell temperature and embryo temperature. 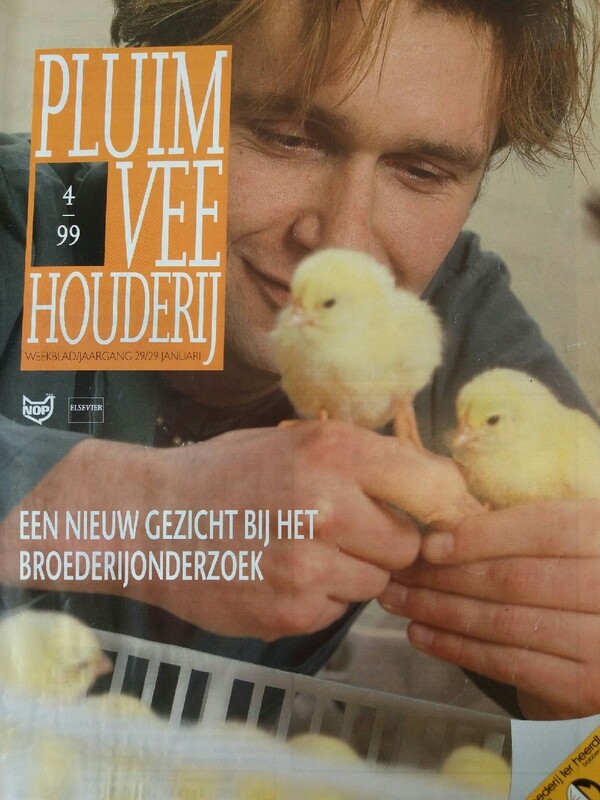 In that same year we performed an experiment at "Het Spelderholt" to control eggshell temperature during incubation to mimic conditions in single stage and multi stage incubators. 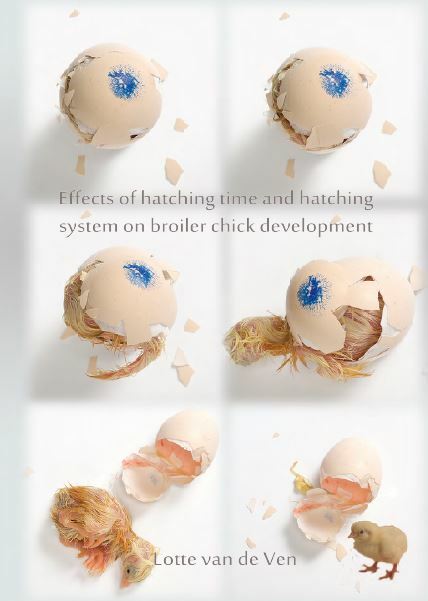 Hatching eggs from our breeder farm were incubated in the hatchery and the chicks were placed in one of our broiler grow-out farms. 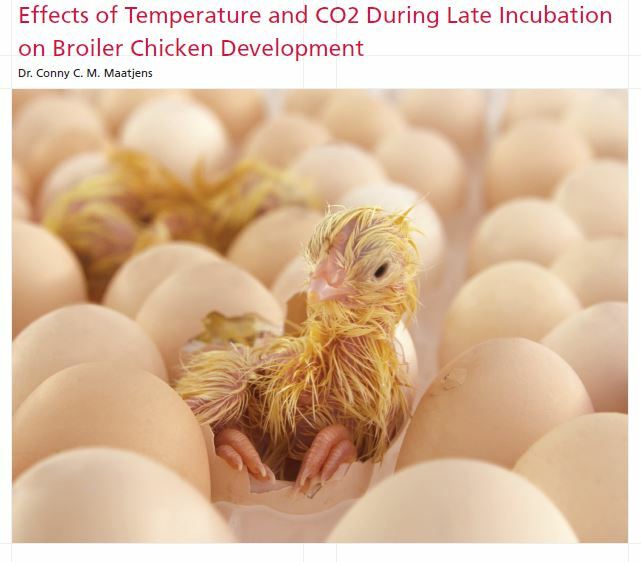 In the broiler farm we also used different temperature profiles to show the importance of good brooding temperatures as well. A nice integrated approach so to say! 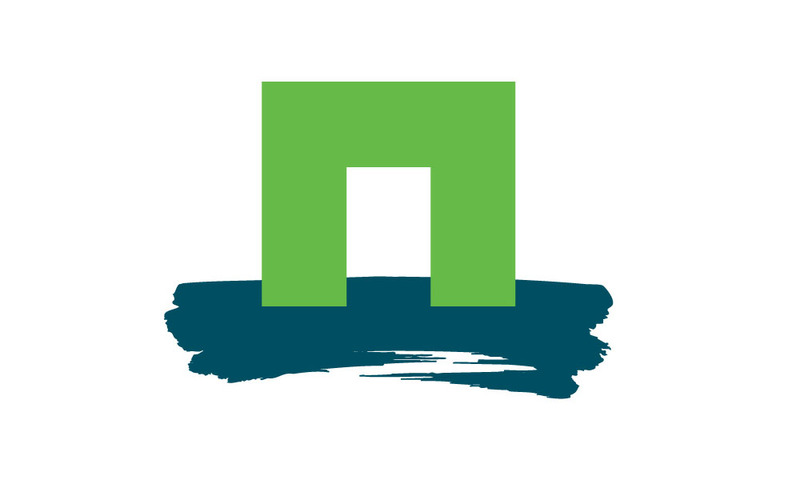 In 2003 it was decided that Spelederholt had to move to Lelystad to merge with the DLO contract research organisation that later (2007) became part of Wageningen University & Research. The hatchery was abandoned (how unfortunate...) and we had to do the larger scale hatchery experiments in practise and the smaller scale experiments in the climate respiration chambers in Wageningen University. Well, with some flexibility and loaded with good ideas this brought some nice opportunities! Incubation research at Wageningen University started in 2002 when Ron Meijerhof and I introduced our ideas and findings to professor Bas Kemp, head of the department of Adaptation Physiology (ADP). This was where Henry van den Brand came in the picture who from then onwards started to develop his interests in incubation as well and together we teamed up to explore new research areas for the hatchery industry. 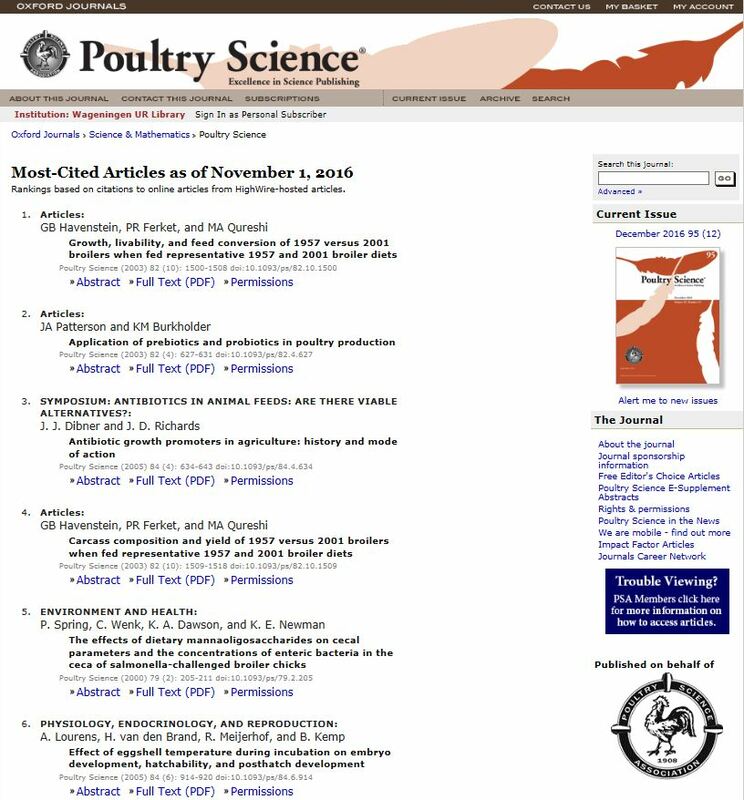 The first scientific paper (Lourens et al., 2005) about the effects of different eggshell temperature profiles on hatchability and post hatch performance ranked #6 in Poultry Science most cited papers ever! Likely more will follow, the variations on this theme are endless. The number of participating incubator companies working with ADP apparently not... Hatchability.com serves all hatcheries, incubator companies and breeding companies, so please feel free to contact me!